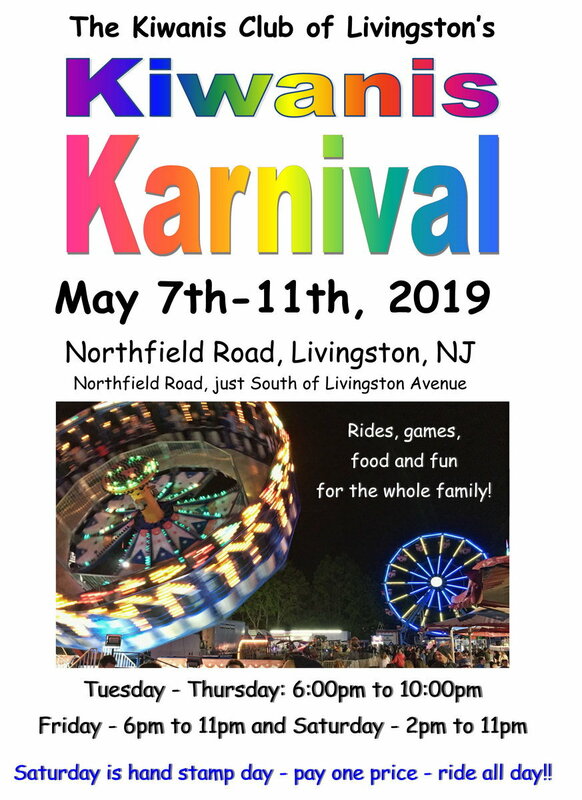 The Kiwanis Club of Livingston will be holding their 2019 Kiwanis Karnival from Tuesday, May 7th through Saturday, May 11th, located at the fields on E Northfield Rd (across from Summit Medical Group.) 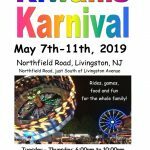 The five day carnival will have exciting rides, games and prizes, delicious food, and fun for the whole family! Pay one price ride hand stamps will be sold on Saturday, May 11th, from 2pm to close. Ride all the rides for one low price! The fair will be hosting ARC Day on Saturday morning from 11am to 1pm. During this time the carnival will be closed to the public and open only to special needs guests and their families. This event is open to all special needs guests, and is not restricted to Livingston residents. See this page for details.